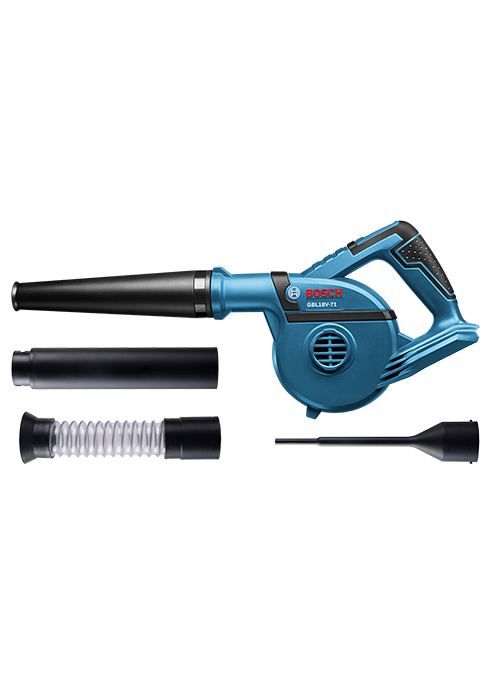 The Bosch GBL18 V-71N 18 V Blower is a powerful, convenient cordless blower that provides high air force at a compact size. It provides robust operation, with a 71 cubic-feet-per-minute (CFM) rating and air speed of 167 mph, to work quickly. It comes with a variety of nozzle choices. It has two speeds for enhanced control, and it has an outstanding power-to-weight ratio. This blower is built with an efficient motor that helps it to deliver ample runtime, delivering nine minutes per battery Amp hour (Ah) on low speed and five minutes per Ah on high speed.